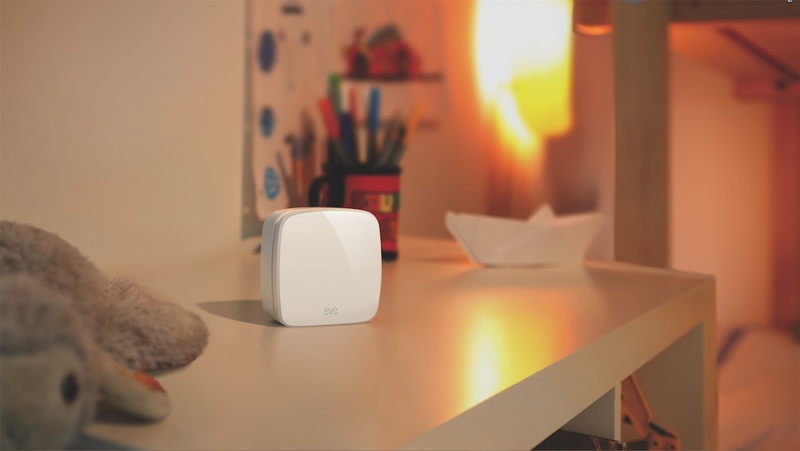 Elgato has announced the launch of two new air sensors in their Eve smart home line. The Eve Room keeps an eye on the air quality inside the house, while the Eve Weather tracks the temperature right outside your front door. The indoor sensor analyses volatile organic compounds, which are traces of airborne chemicals, as well as CO2 emissions, temperature, and humidity. It scans for particles that could be harmful to your fragile pink lungs, like mold, paint, bacteria, and more. The outdoor sensor tracks temperature, humidity, and air pressure. It is water-resistant, so you can place it in the front garden without worrying about the rain (or the sprinklers) getting it wet. They run on AA batteries, so there is no wiring to worry about. Both sensors can connect directly to iOS devices without needing a hub thanks to HomeKit. You can use Siri to check the current temperature right outside, or find out if it really is as hot in the living room as you think it is. There is also a fancy looking graph that shows you weather and air quality conditions at a glance, which covers changes across days, months, and years. The Eve Room sensor cost $80 and the Eve Weather costs $50. Both are available from the company's website, or at Apple retail stores.